The chronicle of the notorious 1993 West Memphis murders has been given an extensive documentary treatment thanks to both HBO and Peter Jackson, but now the tragic story is being dramatized in The Devil's Knot, the latest film from director Atom Egoyan (of Chloe recently). The film focuses on Reese Witherspoon as the grieving mother of one of the murdered boys, and while she wants justice for her son's death, she also becomes troubled by the town's eagerness to pin these heinous crimes on a trio of boys who may not be responsible. Her skepticism is confirmed by Ron Lax (Colin Firth), a private investigator for whom the sum of the case’s parts doesn’t quite add up, and who is driven to get at the truth. Watch below! 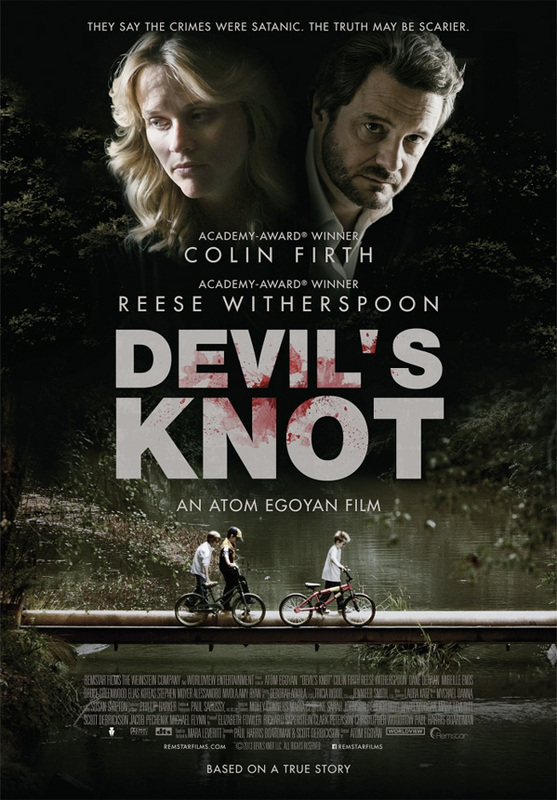 The Devil's Knot is directed by Atom Egoyan (Chloe) and written by Paul Harris Boardman and Scott Derrickson (both writers of The Exorcism of Emily Rose and Beware the Night), based on Mara Leveritt's book of the same name. The film follows the trial in the wake of the savage murders of three young children believed to be committed by three teenagers who ended up being wrongly accused of the crimes as part of a satanic ritual. Colin Firth, Reese Witherspoon, Amy Ryan, Dane DeHaan, Stephen Moyer, Kevin Durand and Mireille Enos all star in the film which premiered at TIFF 2013 earlier this fall. No US release date is set yet. ...aah...THAT type of "hysterical." Got it. Looks like someone accidentally activated stabilize on Youtube, very distracting having the frame bouncing around the entire time. The movie though looks ok.
Everything is moving! Man, that was extremely annoying to watch.